If you thought Harvest Festival meant arranging nearly expired canned goods in a basket and singing hymns about cauliflowers, get ready for your mind to be blown. 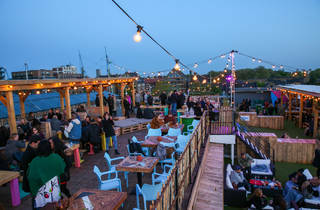 Skylight – the rooftop playground at Tobacco Dock – is putting on its first autumnal-themed shindig. 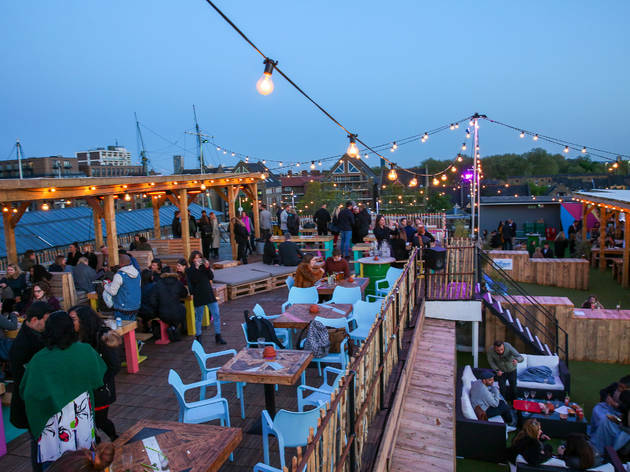 For HarvestFest, they’ll be bringing out the blankets, turning on the heaters and creating lots of warm rooftop nooks and crannies to hang out on as the nights get chillier. Across three floors there’ll be Haybale Skittles and Pumpkin Draughts to play with, live entertainment, warming street food and a cocktail menu filled with harvest ingredients including apples, blackberries, pears and warming autumnal spices. If you want to go all out, there’ll also be beer and cider buckets you can share with friends – think a fall version of the fishbowl.